Living in Meadow Lakes community in Wasilla, Alaska is wonderful for the lungs. Many residents say this because clear blue skies hover over the community. Needless to say, the air quality is much better than the national average, which means they’re not just biased. However, this community is a place you can become biased about. 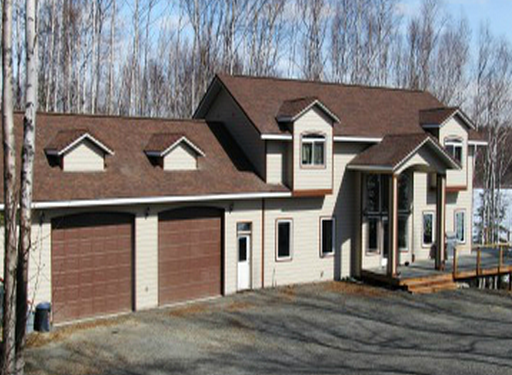 The homes in Meadow Lakes, Alaska have a modern barn look, and the blend is beautiful. The waters create a serene atmosphere in the community, which is something worth noting because many of the homes here have a lake front. This should not be a huge concern for the family, as the waters do not run deep, until much further down the lake. The median household income is about 60,000, and the homes here average about $194,000. Higher education is something important to the residents of this community, as most have earned college certificates and degrees. There are good medical centers and hospitals within walking distance of Meadow Lakes, for that added security. As if the feeling of security needed a little bit more, this community also had a crime rate lower than the national average. There are a number of great schools nearby, such as the Knik Elementary School which scored highly on the Great Schools Organization scale. A parent spoke highly of a principal in that school, whom is committed to the education of all children. This Principal goes out of her way to make sure that the parent and the child are getting the best outcome out of this school. This outcome is exemplified in the great academic scores the children have received. Houston Middle School is another great on the list. This school not only excels in academics, but also in sports. The track team is a highlight of the school. Houston High School is next on the list, they scored pretty high in the district for academic excellence, so education is taken seriously here. The teachers and staff at Houston High go to great lengths to ensure these young students get the best out of their education, while making sure the parents are involved. However; they do not stop there, as they also offer quite a few extracurricular activities. Of course… they cover most of the major sports, including basketball, and football with impressive wins over the year. They do not neglect other interests, such as business, since they have an impressive club called the Business Professionals of America among other clubs. Besides the beautiful lake that sits near Meadow Lakes, Alaska; there are quite a number of fun attractions, such as the Gateway to Darkness, which is a Haunted House attraction nearby. There is also a historic burial ground called the Burial Spirit Houses, which is a mix between Russian Orthodox tradition and Native American practices. Of course there are numerous cinemas, and shopping centers nearby with more than nine grocery stores among other things. There are few performing arts centers, golf courses and even a Museum of Alaska Transportation, if you are interested in a little piece of history. If you like sitting by the lake side in a safe and peaceful atmosphere, you will truly find your home in this community.